Änis Ben-Hatira (l.) gave Eintracht Frankfurt their first win in nine games on Matchday 27, scoring the only goal in a 1-0 victory over Hannover 96. But how are things shaping up heading into the final stretch and how good are each side's chances of reaching their targets? bundesliga.com puts Eintracht Frankfurt under the microscope. After an explosive start to the season which saw them in fourth place after Matchday 4, Die Adler's wings have grown progressively more tired, and they entered the international break in the automatic relegation places for the first time this season.Niko Kovac replaced Armin Veh at the beginning of March and the former Croatia international has instilled an improved work-ethic at the Commerzbank Arena. Matchday 26's 3-0 loss at Borussia Mönchengladbach saw the team cover a season-high 117.6 kilometres, and the hard-running finally reaped its reward on Matchday 27, when Eintracht beat Hannover 96 1-0 to claim their first win in nine games.Recurring injuries to last season's Bundesliga top scorer Alexander Meier and summer signing Luc Castaignos have stunted the Hessian's attacking potency, with only 1. FC Köln, SV Darmstadt 98 and Hannover having scored fewer than Frankfurt's 29 goals. Bundesliga survival. Promoted back to the top flight at the end of the 2011/12 campaign, Eintracht finished as high as sixth the following season. 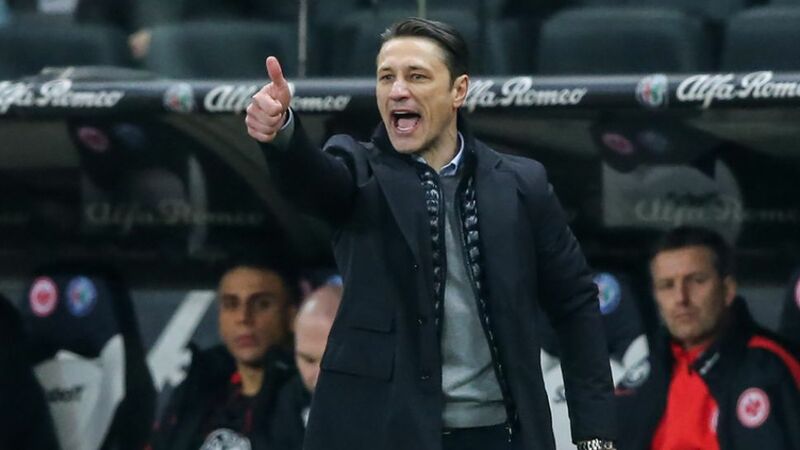 The Frankfurt club's attendances have outstripped those of FC Internazionale Milano and Paris Saint-Germain in recent seasons, and Kovac's short-term remit is to ensure those fans enjoy another season of Bundesliga football.Eintracht have their work cut out though. Games with runaway leaders FC Bayern München and Borussia Dortmund lie in wait, as do tricky encounters with Europe-chasing pair Bayer 04 Leverkusen and 1. FSV Mainz 05.